Jack Walls has been at Liverpool's academy since U9 level. Scouser Jack can play at right back or right side centre-back. Jack suffered two consecutive broken legs but bounced back during 2018 in style impressing the coaches with his great mentality and character. 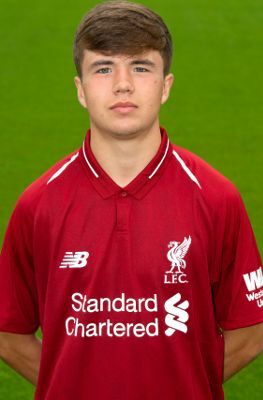 He made his debut for the U18s under Steven Gerrard in 2017-18 as an U16 player.